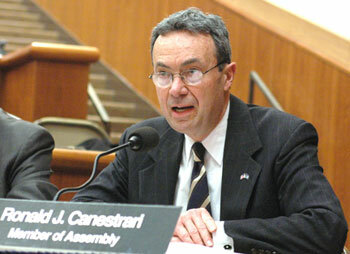 Higher Education Committee Chair Ron Canestrari explained to the General Budget Conference Committee how the Higher Education subcommittee's agreement would benefit SUNY and CUNY as well as the state's community colleges and independent institutions of higher learning. Adobe Reader required. Click on the adobe image below to download Adobe Reader.